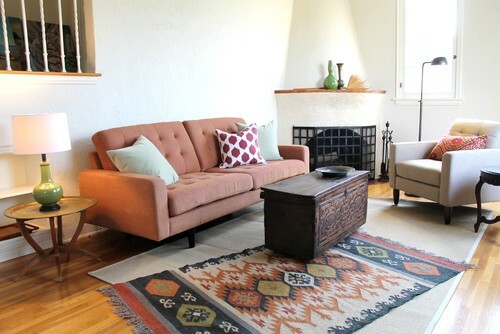 A couple weeks ago I talked about area rugs on top of carpet and why I love this idea so much. 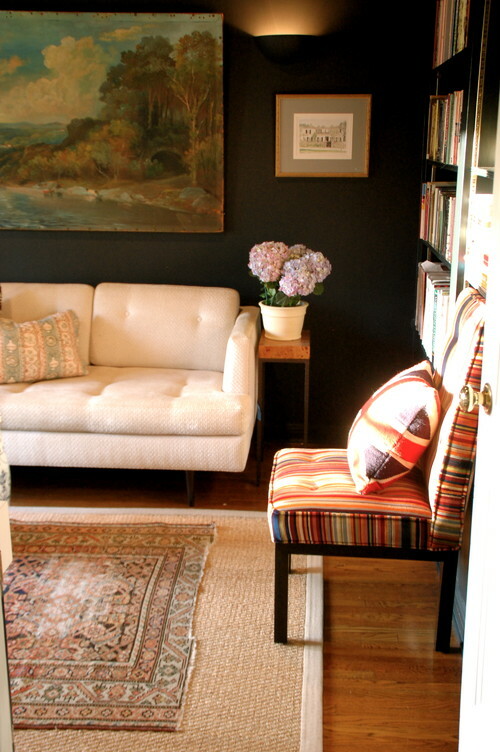 Another look that I love is layering area rugs. This is a great decorating trick because you can create a completely custom look by mixing patterns, textures and sizes. Sometimes a patterned or colorful rug is a perfect addition to a room, but a big patterned rug can be too overwhelming for the space. 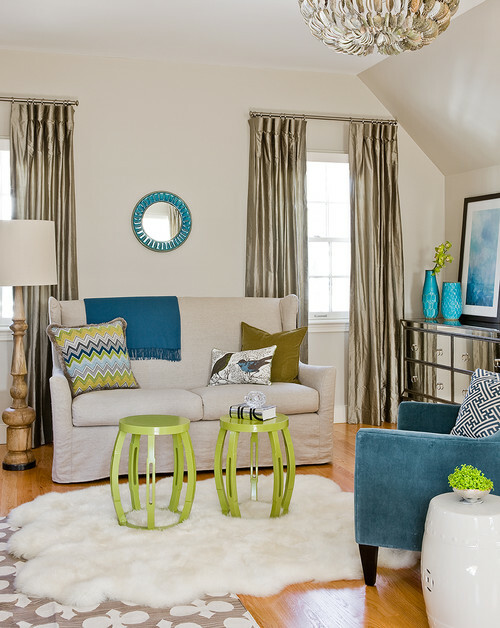 Layering allows you to still get the addition of pattern and color, but on a smaller scale so that it doesn’t dominate the room. Rather than putting down a rug that is too small and that looks like it’s going to float away with your coffee table, layer it over a more neutral rug that is larger, usually less expensive, and fits the space. 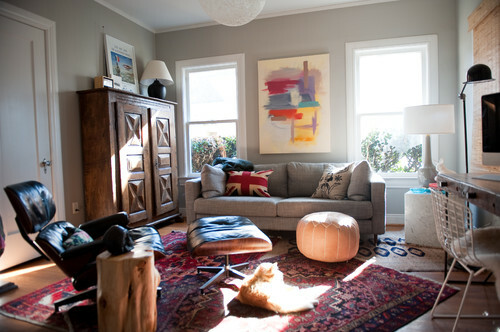 Or layer a neutral rug over a patterned rug to tone it down. You can also add different lines to the room by playing with shaped rugs. 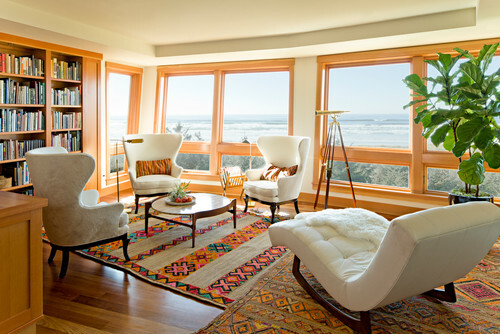 Contemporary Living Room by Portland Interior Designers & Decorators Garrison Hullinger Interior Design Inc. 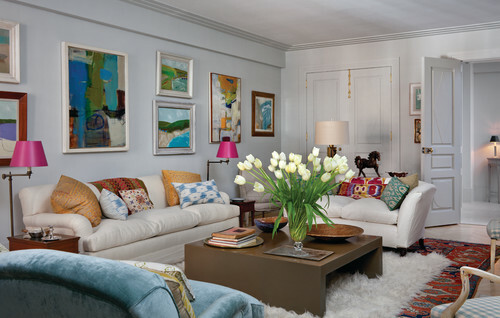 The layers don’t have to be centered; you can connect areas or expand the space by the placement of rugs. I’m all about using what you have, so if your rug is too small for the space, layer it with another rug. And who says the rug has to be straight? Try placing it diagonally to naturally draw your eye to the space and create a truly unique look. I think layering area rugs is such a simple way to completely transform a space, and it’s low commitment. If you don’t like it, it’s so easy to change it up. There are a few rugs in my own home that I’m thinking of playing around with. What do you think of this trend? 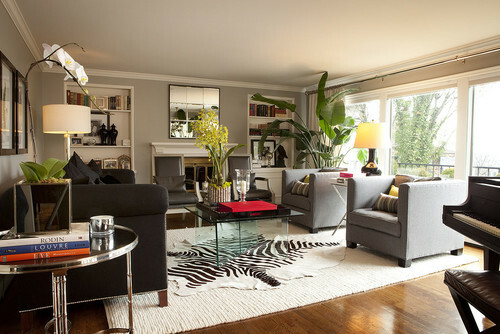 Have you layered area rugs in your home?